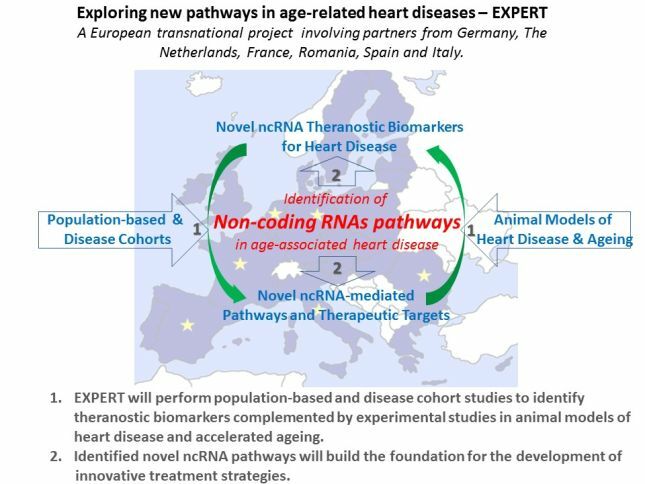 EXPERT is aiming at the development of new strategies for the diagnostic and treatment of ageassociated diseases such as heart failure, atherosclerosis and myocardial infarction by exploring non-coding RNA (ncRNA)-mediated regulatory pathways. For a long time regarded as evolutionary junk, ncRNAs are currently emerging as pivotal players in virtually all biological processes. As their levels fluctuate during ageing and disease, ncRNAs are believed to significantly contribute to biodiversity and disease susceptibility including cardiovascular disease. 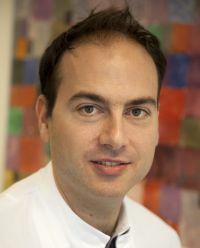 EXPERT will lay the foundation that will lead to novel diagnostic and therapeutic strategies for the treatment of heart failure and other cardiovascular alterations, such as atherosclerosis and myocardial infarction.